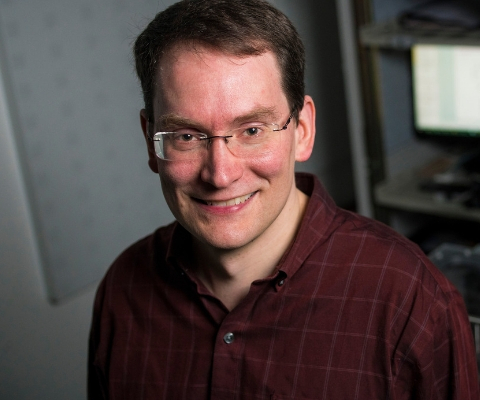 Dr. Michael Woodside, a professor in the Department of Physics at the University of Alberta, was awarded a Guggenheim Fellowship — a first for the Faculty of Science and the first such honour for the university in nearly 40 years. Integrating physics, molecular biology and biochemistry, Dr. Woodside studies how single biological molecules like nucleic acids and proteins respond to mechanical forces. These responses offer clues to the behaviour of proteins at the molecular level, which in turn can help shed light on how proteins can trigger neurodegenerative diseases such as Parkinson’s and prion diseases like Creutzfeldt-Jakob. Dr. Woodside completed undergraduate degrees in physics and music at the University of Toronto before completing his PhD in physics at the University of California, Berkeley. Following a postdoctoral fellowship in biological sciences at Stanford University, he became a research officer at the National Institute for Nanotechnology in Edmonton. Since 2013, he has been the iCORE Chair in Biophysics at the University of Alberta. 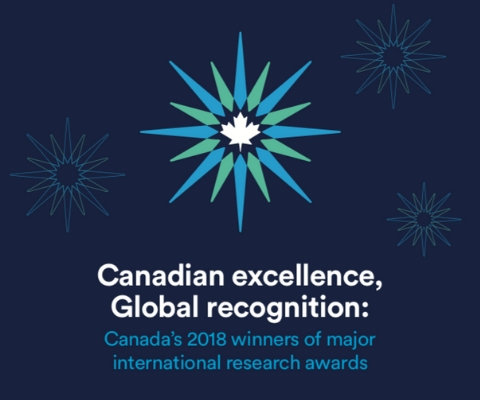 *Michael Woodside is one of 17 Canadian winners of major international research awards in 2018 featured in the publication Canadian excellence, Global recognition: Canada’s 2018 winners of major international research awards.